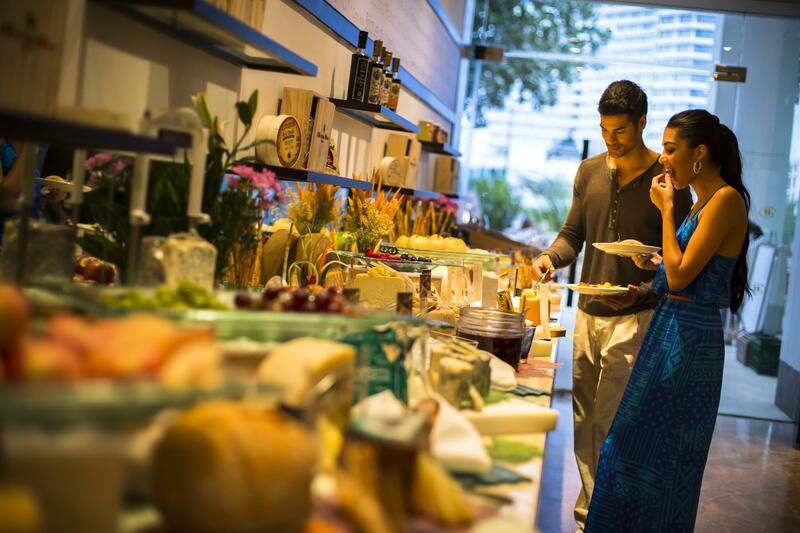 Opened at 6 AM till late, FLOW’s buffet spread welcomes diners for an all-day riverside dining experience. The kitchen stations at FLOW work hard all day to keep its visitors full and content. 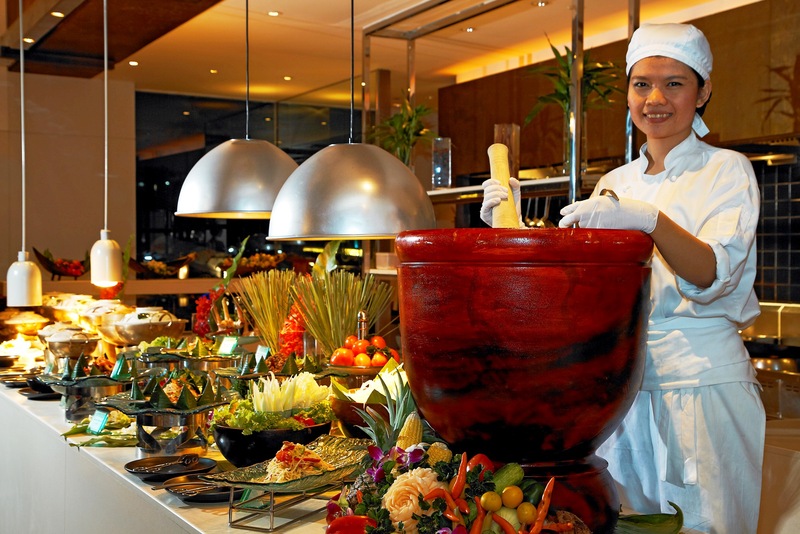 There are five kitchens – Thai, Indian, salad bar, cheese room, and dessert station. Ultra high ceilings and silk panels add dimensions to this dining experience. Arrive early for breakfast and you might enjoy breakfast with sunrise as FLOW’s windows faces east.